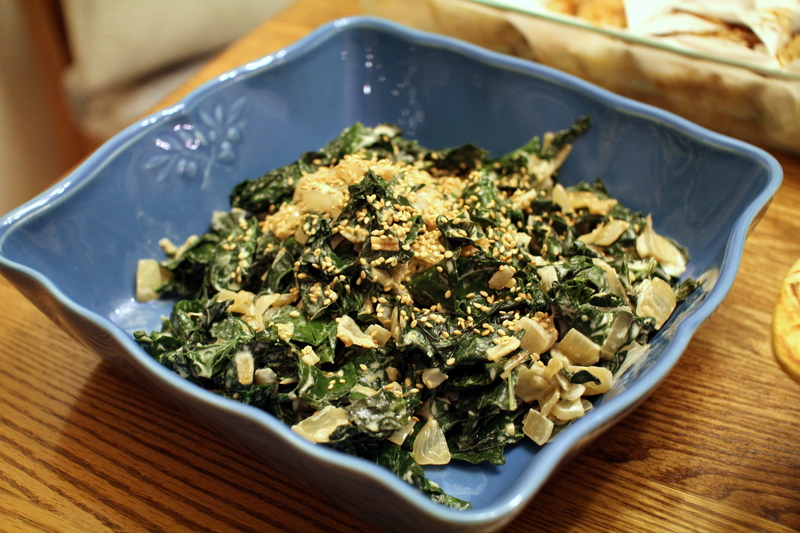 Two Untraditional Side Dishes for the Holidays [recipe] – Cin Cin, Let's Eat! Every year I try to come up with different menu items to serve at holiday parties. As you already saw from the Thanksgiving snapshots post, we had quite a bit of vegetables and side dishes for our feast. Sweet potato is a must on our menu, but I’m so sick of sweet potato casserole with the toasted marshmallow on top no matter how good it is… so last year was the first time that I served a sweet potato dish sans marshmallow. (GASP!) I still kept it on the sweet side though – mashed sweet potatoes mixed with roasted bananas and a pecan streusel topping. 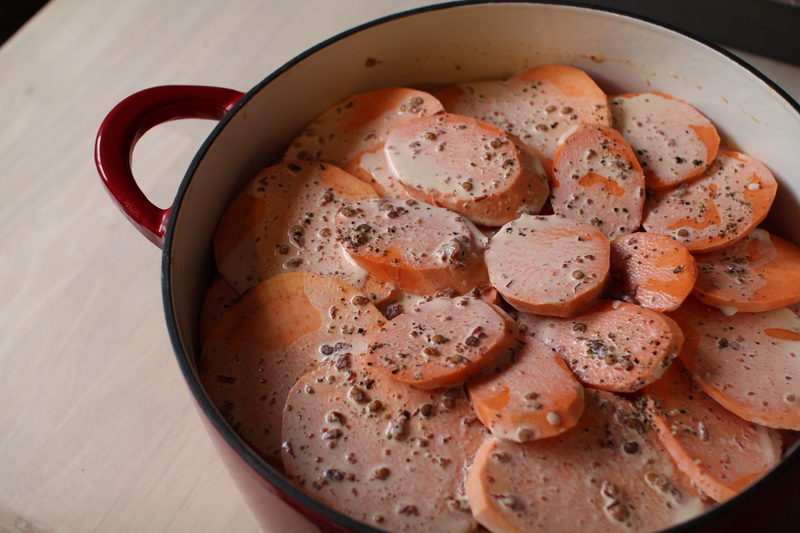 This year, a slight direction change to bring out the savory quality of sweet potatoes. It’s smokey, it’s spicy and sweet at the same time, and it’s incredibly EASY (but looks impressive). Oh, and it’s not for those who are counting calories. As you can see, I left a lot of the seeds of the chipotle pepper in with the cream. Yes, it was spicy but I also added close to two tablespoon of the chipotle puree instead of one. Its got a good kick and doesn’t linger so our mouths weren’t on fire. Braised greens was on the menu last year and was a big hit so it only made sense to have some kind of greens this year too. Kale has been popping up all over on the food trend radar lately, especially in the world of vegan cuisine with the combination of kale and tahini (sesame paste) together. I have never tasted this pairing before so I was quite intrigued. The whole dish was easy to put together, and as soon as I sampled a taste, I was hooked! It’s zesty, toasty, nutty, rich but clean. 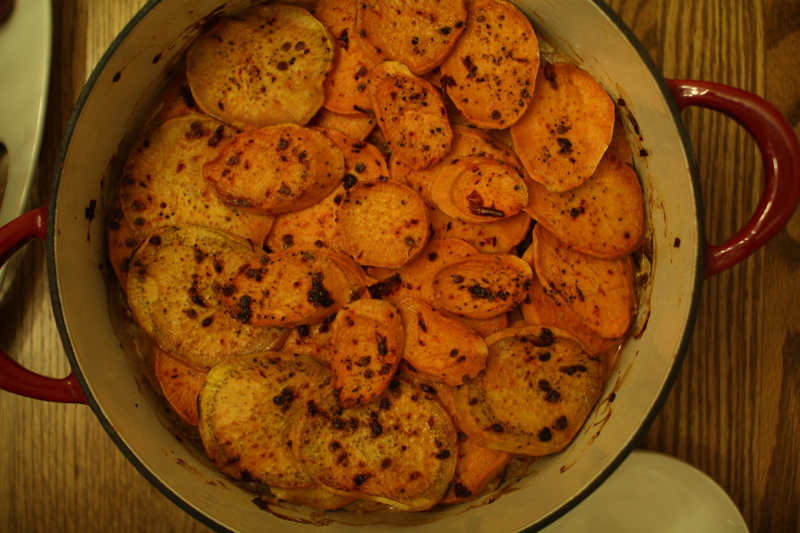 And the bonus is that it’s extremely healthy, a complete opposite of the sweet potato dish. hey! I recently made a kale salad with tahini dressing. I agree, I like the combination. haha great cooks cook alike!